Due to the popularity of our articles featuring the most popular job boards in different countries, we decided to bring you some more of our “how to recruit” advice. As we all know, the internet is a great tool for both recruiters and job seekers. Thanks to job boards, recruiters can find qualified candidates more easily and jobseekers can gain easy access to job listings. They can improve their interview skills and research career development strategies. With 988 000 visits in January 2016, Adzuna is ranked number 5. This website was created in 2011 in the UK and was released officially in Australia in 2013. It’s basically a search engine for job adverts. It aggregates information from a huge array of job boards, classifieds, social networks and other sources from across the web to bring users relevant search results. It was founded by Andrew Hunter and Doug Monro, who worked together for Gumtree, the famous UK classifieds and community website. With 2.40 million visits in January 2016, CareerOne is ranked number 4. CareerOne was established in 1999. It is a joint venture company between Australia’s biggest publisher News Corp Australia and the global employment platform Monster Worldwide. This website offers visitors a unique job hunting experience and innovative corporate solutions for candidate sourcing, talent management, and employer branding. It is a very comprehensive website because it goes beyond providing job adverts. 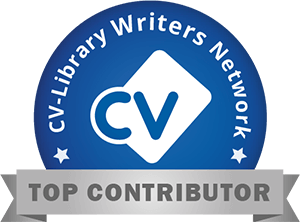 It also offers advice for CV and resume writing. Users are also able to browse through career advice and online courses. 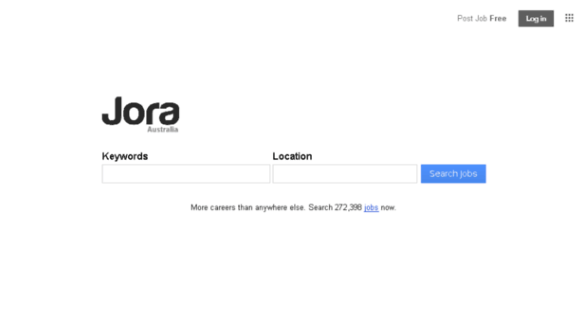 Jora.com – formerly known as Jobseeker – had 5.10 million visits last January. With over 250,000 jobs sourced directly from job boards like SEEK, company websites and industry associations, Jora is number 3 according to SimilarWeb. Jora.com is present on almost every continent around the globe. Jora.com is an Australian based job search engine and it is a new member of the SEEK family, which means they are backed by the strength of a leader. Not surprisingly, Indeed.com appears in a good position in the ranking. Indeed.com was the second most visited site in 2015. The reason for its success is that it is one of the most efficient sites for surveying job listings: it aggregates information from job boards, news sites and company listings. Also, it has many advanced search functions that make the website very user friendly. Without any doubt, SEEK is the number 1 website. It is far ahead of the competition and it won’t be giving up its leading position in the near future. Seek.com.au is the most visited job site in Australia with 19.10 million visits in January 2016. 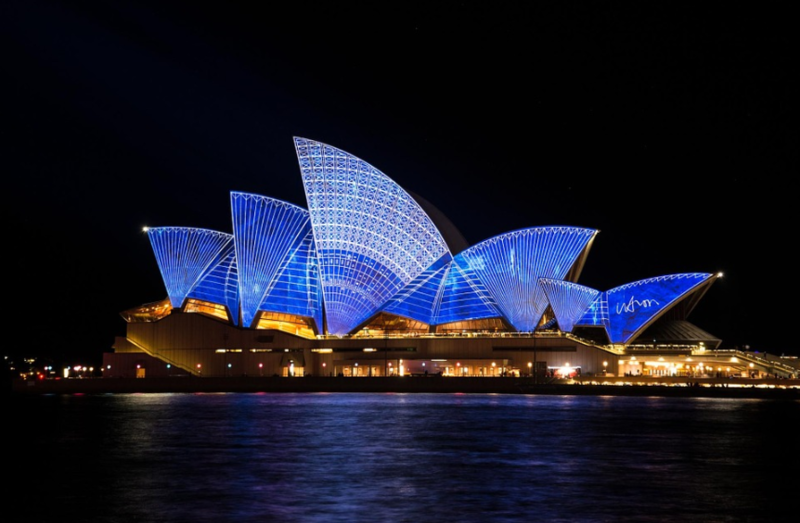 SEEK is listed among the top 50 companies on Australian Securities Exchange (ASX). It has also been listed among the Top 20 Most Innovative Companies Globally by Forbes, and Number One in Australia. 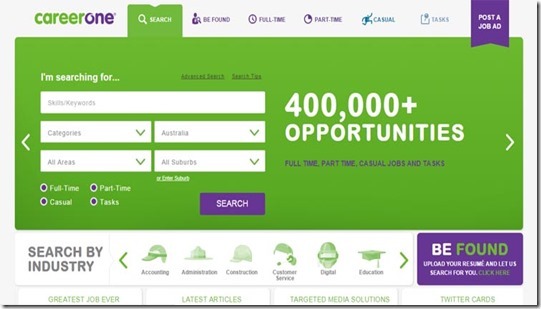 SEEK displays approximately 70% of all online job adverts in Australia. Don’t miss out on our new articles and receive them directly in our mailbox by subscribing to our newsletter. If there is any particular country or topic that you would like to see featured on our blog please let us know. Thanks for the list Justine. Nice article! May i ask you to add one more service for job serch? My name is Mihir, im based out in India. I am IT recruitment professional, and the thing brought me here is my motivation to migrate to Australia for good career growth in my field. I am looking out for opportunities to work in Sydney. I am also fine for Melbourne location. I am eager to join such programs where i can get sponsorship from reputed recruitment firms. Please refer me in case of any open positions. Hi! Australia is a great place to live and work! If you want to find work there, your best bet is to look on Seek or GumTree if you want odd jobs. However, it’ll be easier to find work if you speak a bit of English or if you know some Arab speaking people already in the country. Good luck! Thank you for sharing such a great article. Here, I want to add LearnPick, which is the largest tutoring website in Australia. Tutors can find tuition jobs near their localities with LearnPick.